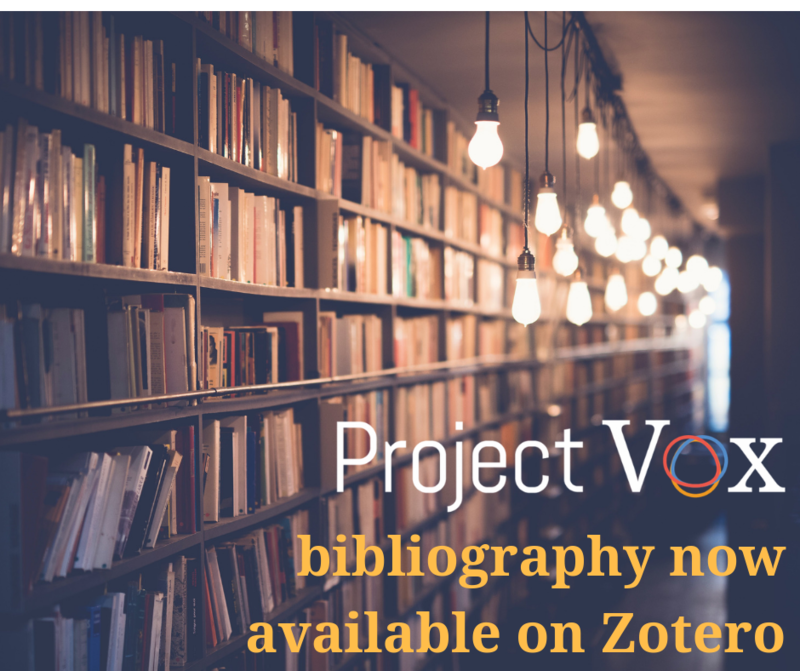 In September 2018 we started migrating the Project Vox cumulative bibliography from Endnote to Zotero in order to make it more available to the public and to enable our far-flung volunteers to work on it. The Zotero library has folders for the various figures from Project Vox. Please check out this open-access resource here. Our aim is to encourage more scholars in this area by providing them a vast bibliography on the topic.